‘Small is big’ is the mantra among automobile manufactures in India. Ever since the Tata Nano was launched in 2009, there has been a lot of buzz about small car projects from rival car makers. However, even after two years of its launch, the Nano doesn’t have any direct competition. But then, the demand for the Nano has not stabilized yet as is reflected by its inconsistent sales. The Nano clocked 10,000 units in the month of April and then registered around 3,200 in July 2011. This inconsistency could be a worrisome factor for car makers who were earlier planning to launch Ultra Low Cost Cars (ULCC) to compete with the Nano. On the contrary, the demand for cars such as the Maruti Alto has been increasing steadily. In fact, Maruti Suzuki Alto became the largest selling car of 2010. Despite a slight car sales slump, the Alto stood strong and sold 29,000 units on an average during January – July 2011. Here’s a quick look at the cars that will be launched to chiefly target the potential buyers of the Alto in the near future. 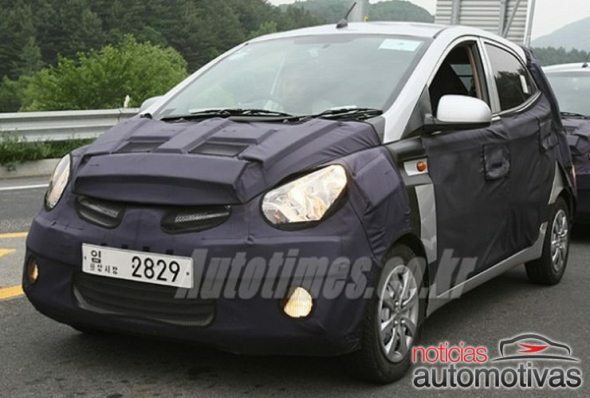 Hyundai will likely launch its Alto slayer, the HA in November 2011. The price of the HA could range from a little below Rs.2.5 lakh and may go up to Rs. 3.25 lakh. Read more about the Hyundai HA here. Test mules of the HA suggests that it would feature headlamps similar to those on the new Hyundai i10, chrome strips on the front grille, large fog lamps, a wide hexagonal radiator grille on the front bumper, high mounted tail lamps resembling the i10. Even the side profiles of the car could have a few design cues of the i10. It will be powered by a 3 cylinder, 814 cc petrol engine that produces 45 bhp of maximum power and the company may also develop a high powered variant of the HA with a 1.0 litre Kappa engine. When compared to the Alto, the HA promises to be a more modern-designed, spacious small car especially with better head room (due to its tall boy design). 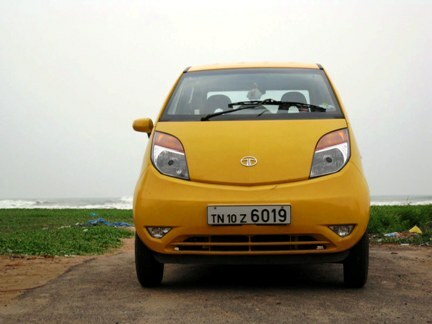 Photo: Tata Nano has a very short bonnet, which houses the spare tyre. The Nano’s new versions will include the Nano diesel that could be launched in early 2012. The price of Nano new version could be in the Rs. 1.8 lakh to Rs. 2.5 lakh range. Expectations are high regarding the launch of the Nano’s diesel version. The Nano diesel will likely to be priced 5-20% (approx. Rs. 27,000) higher than the petrol version. The Nano diesel will be powered by a 700 cc 2-cylinder engine developed by Bosch and will return an incredible mileage of 40 km/litre under standard test conditions. Bosch which had earlier supplied the engine and critical components for the Nano petrol is developing the diesel power mill for the Nano diesel. There are also expectations that the newer version of Nano could be equipped with power steering, ABS, LHS (Left hand side) mirror and disc brakes. 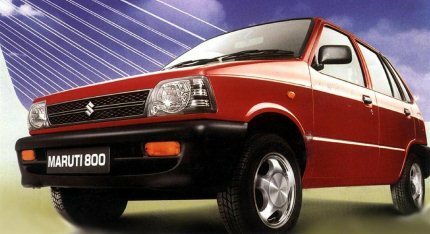 The new Maruti M800 is expected to hit showrooms in mid 2012. The refreshed M800 could be priced less than Rs. 2 lakh targeting prospective buyers of the Nano top-end variant, LX. Based on the spy photo, you can expect the new M800 will likely offer more headroom than the present model as the car’s height has increased a bit. The shoulder line of the new car is slightly raised reducing the rear window’s glass area. The C pillar too is chunky quite like the Alto. The face-lifted M800 will likely be powered by the present Maruti Suzuki Alto’s 796 cc, FC engine ( BS IV compliant) that makes 46 bhp of maximum power and 62 Nm of maximum torque. The engine is known for its frugal nature and returns 19.73 kmpl (as per Maruti). In real world conditions it’s known to give around 17-18 kmpl. « Which is a low maintenance small car: Chevy Spark, Santro or Alto?